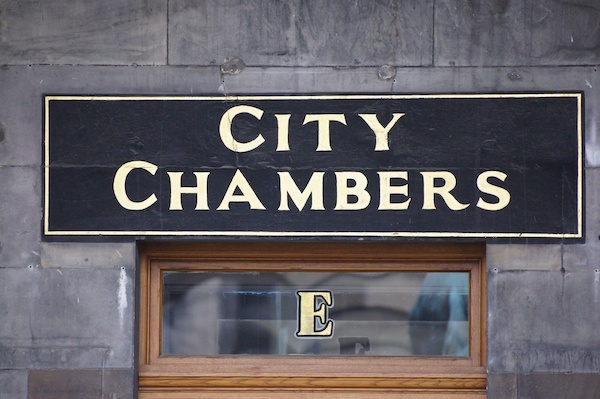 The first valid petition submitted by a member of the public will be considered by councillors in Edinburgh on Monday, 3 December, in a meeting to be webcast live from the City Chambers. The petition is for 'Kirkliston Public Transport Provision' and received 785 signatures of support. The Committee is part of a package of measures and a new committee structure aimed at creating a more accessible and transparent organisation by opening up decision-making and improving scrutiny of the Council's work. Convener of the Petitions Committee, Cllr Maggie Chapman, said: "It is a great start that we have a valid petition to consider in our first meeting. I hope that this will encourage others to come forward use this new opportunity to participate in local politics and to help improve the lives of people living, working and visiting our city. I am pleased that, in addition to the meetings in the City Chambers, we will also be taking the committee 'on tour' to reach a wider audience, and we will also ensure our young people are included by having youth focussed events." 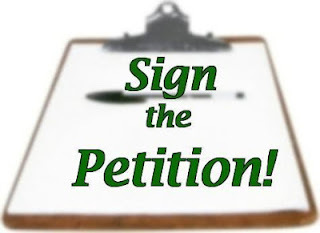 * Petitions from individuals require at least 500 signatures though in some cases petitions with 250 signatures can be accepted. * Petitions from local businesses need the support of at least 20 other businesses within Edinburgh before they can be considered. * If a petition is invalid, the petitioner will be advised of the reason and given the opportunity to refine and resubmit it. Busy week coming up ... and amidst all the city-wide issues, one local planning application is going to feature strongly at Tuesday night's meeting of Craiglockhart Commuity Council: I'm hoping to get along. I've blogged about the 'potential' Craighouse application a couple of times - here and here - but the plans are now formally submitted; further details here and here ... and a decision will be made by the Planning Committee in the coming months. I'm expecting a lively discussion/debate on Tuesday night - and rightly so; its an important topic. Having watched (in-passing with Junior, of course!) endless episodes of Tracy Beaker, I'm backing Dani Harmer ... how can she now possibly fail to win?? ... if you have access, its well worth a read to get a brief picture of the breadth and depth of excellent work that Council Staff do on a day-in, day-out basis. ... next steps on Portobello High School, and much more, is up for discussion/decision. ... well, this week has seen the full publication of just such a detailed monitoring programme on the main Council website. 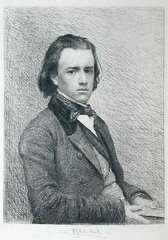 ... do please take a look at the links within these pages and you'll find a detailed commentary on each and every pledge, alongside detail of the politician who is responsible for delivering it. Don't hesitate to contact the relevant Councillor if you have any queries. ... all the details are here, main documentation here, and the relevant News Release is reproduced below. Bold or foolish? - I guess the next few months will tell. 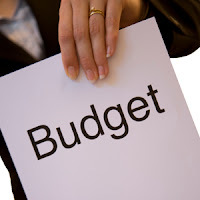 The Finance and Budget Committee has agreed to consult on the Council’s draft budget proposals for 2013/14. 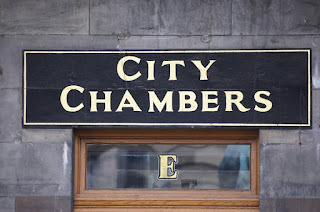 Cllr Alasdair Rankin, Convener of the Finance and Budget Committee, said: "Our yearly Edinburgh People Survey told us that residents want the Council to get better at managing their money. We have listened to this and the budget process this year is being changed to make it more robust and open to challenge from individuals and interest groups. That is why for the first time the Council's draft budget is public well in advance of budget day. This allows time for discussion on how the Council can make best use of public money to deliver on our pledges, and our contract with the Capital." 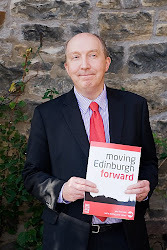 Cllr Bill Cook, Vice Convener of the Finance and Budget Committee, said: "Improving quality of life for people in Edinburgh is at the core of our draft budget. Our commitment to this has already been demonstrated as we are set to introduce the living wage in January and we have committed to settling outstanding equal pay claims. "To do this effectively we need to look ahead which is why the one year budget the Council is setting in February is part of a five year financial plan. We need comments back on this year's draft budget by the end of the year but the engagement process will carry on and there will be numerous opportunities next year for individuals and groups to express their views on how best we can deliver on our pledges in the years ahead." This entry was posted by Media Team on 16/11/2012. Back in Edinburgh this evening after a weekend down in London ... attending the Electoral Reform Society Annual General Meeting. Enjoyable days discussions (honestly!) about all things electoral-reform ... followed by the formal AGM etc. ... I didn't contest any of the posts - never one to look backwards - and have more than enough to keep me busy at the present moment anyhow! Very best of luck to Amy Dodd in her new position as Chair of ERS. This local issue has attracted quite a bit of attention in my own Ward this past week ... the removal of a 'guerrilla garden'? I've actually been cycling past the very location, as its been developing, for several weeks now --- I have to admit, with the site being on the canal-side, it never once crossed my mind that it was Council-owned land as I (wrongly) assumed it would belong to Scottish Waterways. It wasn't until this Thursday (the day of the story linked here) that I discovered it was Council-owned land, and that the site had already been removed/cleared. not known (I believe?) to the 'gardeners' was the fact that the piece of land had already been allocated for the siting of a picnic bench etc. So - classic communication problems, exacerbating an already complex situation ... not great; Council staff have apologised and a new site is hopefully in the offing. I'd hope some longer-term good can come out of the whole episode - but then I am the eternal optimist. 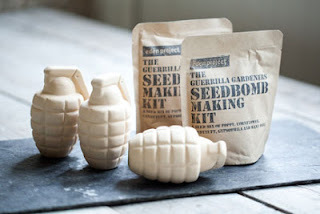 I'll blog on this again when I hear of definite developments on a new site. I made a commitment to update you on the Capital Coalition’s 'Contract with the Capital' and with progress on our pledges. After six months at the helm with my Capital Coalition colleague, Councillor Steve Cardownie, I’m comfortable with the progress we are making. We are set to fulfil one of our important pledges at the December Council meeting to introduce a living wage for Council staff of £7.50 per hour, five pence above the recommended rate. More than 2,000 of you, our staff, are set to benefit with hundreds of carers and cleaners who will be over £100 per month better off. You should be appreciated and get a decent wage for working in areas that provide an important service. We know this will have a beneficial effect in stimulating the local economy too as people spend their increased income locally. I’m grateful to Councillor Alasdair Rankin, Convener of Finance, and his deputy Councillor Bill Cook who have brought a fresh approach and sound financial management to the table to enable us to find the money to fund this. We have appointed Councillor Norman Work as our Care Champion, another of our Capital Coalition Pledges fulfilled. I know he will work hard on behalf of carers to ensure they are supported so they can provide the best possible care to those who need it. Councillor Maureen Child, Equalities and Third Sector Champion, has also been appointed and will take a lead in ensuring the Third Sector will be a close partner in decisions about service provision and that equalities issues are embedded in all Council decision making. People on the doorstep told us, in no uncertain terms, that they wanted better financial management and more influence over Council decisions. Last week, the Finance and Budget Committee took the decision to publish the draft budget three months in advance so we can seek the views of city stakeholders and the public about the best way to improve quality of life for people in Edinburgh. I really hope that you take the opportunity to make your views known on this one year budget due to be set in February 2013 as part of a five year financial plan. Consultation will be ongoing over the next five years so there will be plenty of opportunities to give feedback and present ideas. This continues to be a very difficult pledge to bring to fruition and there is a comprehensive report going to this month’s Council meeting on the options we are pursuing to get this school built as quickly as possible, in the most suitable place at the best cost. Pupils and parents deserve nothing less. A fully integrated one-stop-shop for Edinburgh businesses is now open in Waverley Court in the city centre. This dedicated resource brings together the Council’s building standards service and planning with Business Gateway, the national advice programme and will be much more convenient for clients using the services. This is a very exciting time of the year in Edinburgh when you can look forward to our winter festivals. Christmas events look really attractive and Edinburgh’s Hogmanay events have just been launched. There really is no better place to be over winter. Our Be Prepared for Winter campaign is designed to help residents gear up for whatever winter brings in terms of weather too. Worth a look. I know that many of you play a crucial part in keeping the city running during severe weather as well as in organising our festive celebrations. Your efforts do not go unnoticed, thank you for all your hard work. For many years now, Edinburgh has outshone her fellow UK cities in several popular polls and our latest accolade as Best UK City from the readers of the Telegraph is another welcome tribute. We can't rest on our laurels though in these difficult financial times and must continue to promote our city. The Winter Marketing campaign is a step in this direction. The Edinburgh Award nominations are open to 3 December. Why don’t you nominate someone who you think has contributed significantly to our city? Full Council papers for the November meeting - this coming Thursday (22nd) - now all up on Committee Papers on Line (CPOL): main agenda here, and all the individual reports and papers can be accessed from here. Strongly suspect that Portobello High School will be the main topic of debate again this month. Attended the Remembrance Sunday events at the City Chambers and St.Giles Cathedral this morning - a sombre and reflective few hours. St. Giles was though (as so often) looking truly stunning from within, with sunlight streaming through every stained-glass window, adding a strangely uplifting atmosphere to the morning's proceedings. Escaped to the Allotment later in the afternoon (for a very brief visit) and managed to catch this photo of a visiting robin. Thousands of Council staff are set to benefit from the introduction of the living wage from January next year. The proposal, announced during Living Wage Week is to set the figure at £7.50, five pence above the recommended rate. This will be one of the first Capital Coalition pledges agreed at the Council meeeting in August to be delivered. A report setting out the advantages of introducing the living wage will be considered at the Council meeting in December. The increase in pay will make staff feel more valued, leading to improved wellbeing and improved attendance at work. This will in turn lead to increased productivity in the workplace which will improve the delivery of Council services across the city. More than two thousand staff will benefit from the increase, the large proportion of whom are women working in jobs such as carers and cleaners. New Modernising Pay pay and conditions introduced in 2010 gave all staff fairer, equal and more flexible pay and the living wage will take this a step further. Cllr Alasdair Rankin, Convener of the Finance and Budget Committee, said: "I am delighted that the Capital Coalition has been able to deliver its pledge to introduce the living wage so early in its term of office. We are able to do this whilst also delivering on our pledge to manage the Council's finances responsibly and effectively in a time of real financial constraints. "Our firm intention is to deliver quality and efficient services to the people of the city to the fullest extent we can by deploying the Council's staff and resources to best effect. 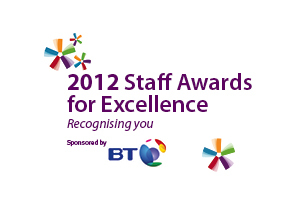 Showing that we value all our staff will help to achieve that goal." A cook/cleaner at entry level of £6.46 working full time with a pension will increase take home pay by around £105 per month or £1270 per annum. The same person without a pension will increase take home pay by around £110 per month or £1328 per annum. 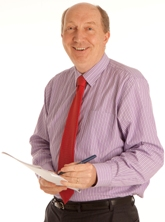 Cllr Bill Cook, Vice Convener, said: "For me it's simply a matter of fairness. People should get a decent wage for working. It's a strange logic that claims that it's essential to give the rich more and the poor less in order for the economy to work. Where in fact, as is widely recognised, a fair wage strategy will undoubtedly stimulate the economy and have a positive effect socially. Our workforce is the most important asset we've got. It's absolutely vital that we recognise the contribution that they make through their hard work to the welfare of Edinburgh's people." The living wage is supported by a number of private and public sector organistions including KPMG and Barclays Bank. 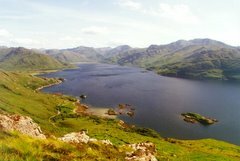 Earlier this week the Scottish Goverment announced that they would be paying the living wage to employees working in parts of the public sector. The first meeting of the new Petitions Committee is coming up in early December ... good to see that there are a couple of live (valid) petitions up-and-running on the Council site now. Will be interesting to see how this specific Committee develops over coming moths! Did indeed manage to get a bit of time down at the Allotment this afternoon. Brussel Sprouts are still going strong as well. Not much else vegetable wise though. You can click on the picture for a better view. Spent the evening over at Corstorphine for a small family fireworks-display ... here's a shot of one of the larger 'fountains'. This is safer than it looks﻿: honestly! Very busy week coming up, so may try and get some time at the Allotment tomorrow to wind-down before the fray.